All suicide loss survivors are warmly invited and encouraged to attend the TAPS National Military Suicide Survivor Seminar and Good Grief Camp. The grief that follows a suicide loss is often uniquely complicated. In addition to mourning, unanswered questions and strained relationships, you may find that when you most need the support of others you actually feel most alone. But you are not alone. At the National Military Suicide Survivor Seminar, you'll be able to look around and feel the hope and healing. You'll meet other people walking the same road — suicide loss survivors from across the country who come to share stories, struggles, moments of reflection and loving support. At the National Military Suicide Survivor Seminar, you'll be surrounded by people who, like you, are learning to live with unanswered questions and incomplete pictures. In this loving, supportive environment, you'll find information, empathy and brave companions — a family of survivors with whom to share the journey. During our time together in Arizona, you'll have the opportunity to participate in activities, workshops and small-group sharing sessions. 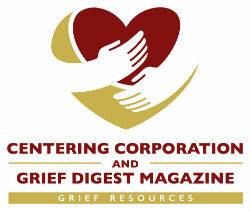 We'll also connect you with leaders in the fields of grief, trauma and healing. Together we will gain an understanding of the complex grief journey we experience after losing a loved one to suicide, develop coping skills and learn to put some pieces of the puzzle together.